In early January I did some traveling. Both intrastate and interstate. Of course, I took my radios to play around and see what activity there was. The first trip was to western Ohio and the second to south-western Pennsylvania (Johnstown area). 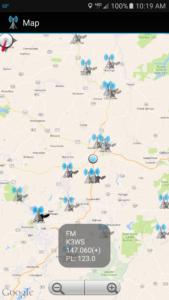 I have been a buff for keeping updated lists of repeaters between my usual travel spots. Places I don’t frequent, I’ve relied on Internet sites. I’m always screwing around with programming in my radios and I have programming software for each. When traveling, I program repeaters along the way and near where I’m staying. My programming application of choice is the RT Systems programmer (https://www.rtsystemsinc.com/). Their solution is about $50 for an entire package including the cable ($25) and programming software ($25). However, 4 of my radios use the same cable so I only needed to purchase the cable once and the software for each radio. CHIRP (http://chirp.danplanet.com/) is another popular solution for only the cost of a programming cable (~$15 each), the software is free. CHIRP doesn’t manage radio settings like RT. I like this ability because I tend to have different profiles depending how I’m using the radio. Manufactures release their own software too. Some are free downloads, others a premium accessory. I gave up on these solutions because the couple I tried were horrible experiences and very barebones packages. They were janky to operate and didn’t have an, what I consider to be essential, import/export function. Aside from the programming software, sources are needed for data. I’ll share my experiences with some that I’ve used. I used the Repeater Directory, Ohio Area Repeater Council (OARC) website, RFinder, K1IW Amateur Repeater and Broadcast Transmitters Database Websearch, RepeaterBook, Radio Reference, and the ArtSciPub Repeater database. General comments about these sources: much of the information is old, dated, stale, or wrong based on information I knew about repeaters in my home area and observations about the resulting data in my travels. Most make some claim to pull data from a ‘number of sources,’ which almost always means the local repeater coordinating body for that area. In Ohio, that is the Ohio Area Repeater Council. Others take a crowdsourcing approach which enlists the services of a large number of people – or at least those who do contribute. Contributors can submit add/delete requests for repeaters as necessary, update call signs, PL tones, locations, features, network affiliations, Internet links, DMR Talk Groups, and so on. It appears the Repeater Directory is used as a starting point for most databases. ARRL Repeater Directory and the Ohio Repeater Council website (http://www.oarc.com/): The Repeater Directory and OARC Repeater search are supposed to be one-in-the-same so that’s why I grouped these two together. The OARC is the source for the printed ARRL Repeater Directory. Recent updates may appear on the website with those changes appearing in the print edition a year or more later. I did find differences between the printed edition and online version. I’m unsure why but they should be the same. In both the printed and online searches, there are a lot of, what hams refer to as, “paper repeaters.” That is someone who correctly holds a repeater frequency pair coordination but does not have a repeater in operation on that pair. Repeaters in the testing phase or down for repairs are not considered paper repeaters, unless that time reaches 6 months of inactivity. This timeframe is determined by the local repeater frequency coordinator. Something else I noticed: there are repeater pairs turned over to the OARC, nearly a decade ago, that are still listed as active or coordinated. The OARC website is free to use and results can be copied and pasted from the webpage for importing. No export of the OARC database is available. RFinder (https://www.arrl.org/shop/RFinder-The-World-Wide-Repeater-Directory/): Also known as the World Wide Repeater Directory (WWRD). It started out as a project by Bob – W2CYK as the place to find repeater data. 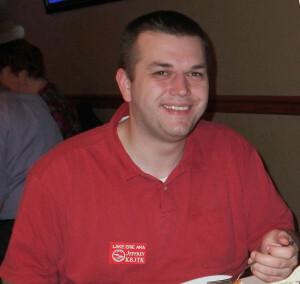 He has partnered with the ARRL, RAC, RSGB, and many other organizations throughout the world including software companies for the ability to import directly from the RFinder database. In partnering with the ARRL, RFinder is the online version of the printed Repeater Directory. There is an iOS and Android app available. The Android app is feature-rich which includes the ability to preload a continent (if you don’t or won’t have Internet access), different sort methods (frequency, distance), display estimated coverage maps, list Internet Linked nodes (EchoLink, IRLP, and AllStar), and ability to submit updates (crowdsourcing). In addition to the mobile apps, much of the functionality is available through a web interface. 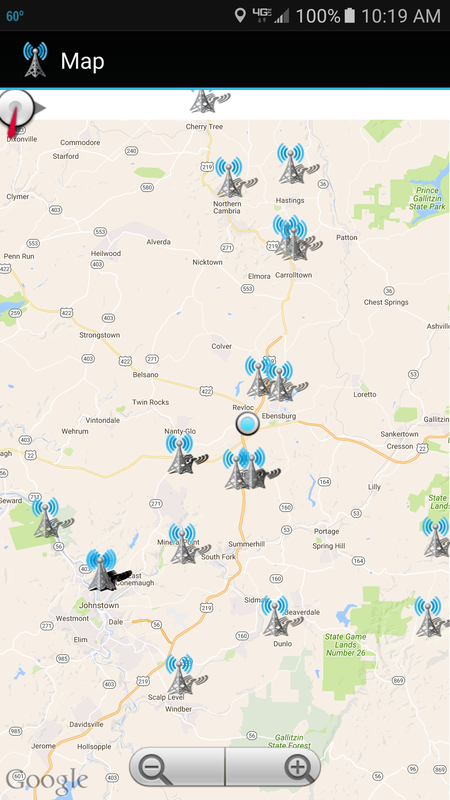 My favorite feature is the map displaying my current position and tower icons indicating repeaters nearby. Though not the best implementation because a city with multiple coordinated repeaters has the icons for each stacked on top of each other. A popup balloon listing all would have been more useful. A lot of work has been put into developing features but, the interfaces could use some fine tuning as the map was one example of multiple problems I encountered. RFinder suffers from paper repeater and stale data problems due to the source of the data. An annual subscription of $9.99/year is required with multi-year and lifetime discounts available. The Android app comes with a 30-day limited trial. Purchasing the iOS version includes a 1 year subscription. 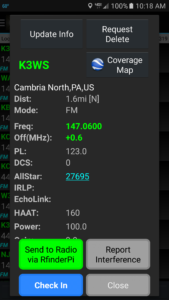 K1IW Amateur Repeater and Broadcast Transmitters Database Websearch (http://www.amateur-radio.net/rptr/): This website serves a single purpose: find repeaters and/or broadcast transmitters (FCC listed AM, FM, and TV) within an area. Enter a city, state, radius, and select at least one band and the results will be a listing of repeaters within that radius – including Canada and DC. The search aggregates various coordinating organizations along with a couple other sources. Searching Toledo, Ohio brings up both Ohio and Michigan results. Usefulness of the results are based on accuracy of the sources. There are paper repeaters and stale data here as well. Resulting lists can be copied and pasted from the webpage for importing. This service is free. RepeaterBook (https://www.repeaterbook.com/): RepeaterBook relies on crowdsourced data and not sources like the Repeater Directory. Upon navigating to a particular state, there is an extensive list of quick search options including: band, features (Autopatch, EchoLink, IRLP, linked), emergency service (ARES, RACES, Skywarn), coverage of a route (highway, US route, state route), town, county, and ratings. Advanced search options provide radius, nationwide, travel, niche (digital modes, linking), and frequency vacancies. Results can be copied and pasted from the webpage for importing. Creating an account will enable exporting to the software applications CHIRP, G4HFQ, RT Systems, and TravelPlus. Though most are CSV files, they nicely include the correct column headers and break the data into the correct fields like 146.610- into “Receive Frequency” and “Offset Direction.” Since the data is crowdsourced, the listings are not entirely accurate. 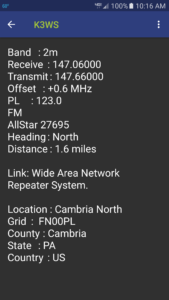 I noticed a good number of repeaters in the Repeater Directory and on-the-air but, missing from RepeaterBook. When I brought up the Pennsylvania Turnpike (I-76) for the jog around Pittsburgh, no repeaters were listed. The first one returned was nearly 3 hours east of the PA border. 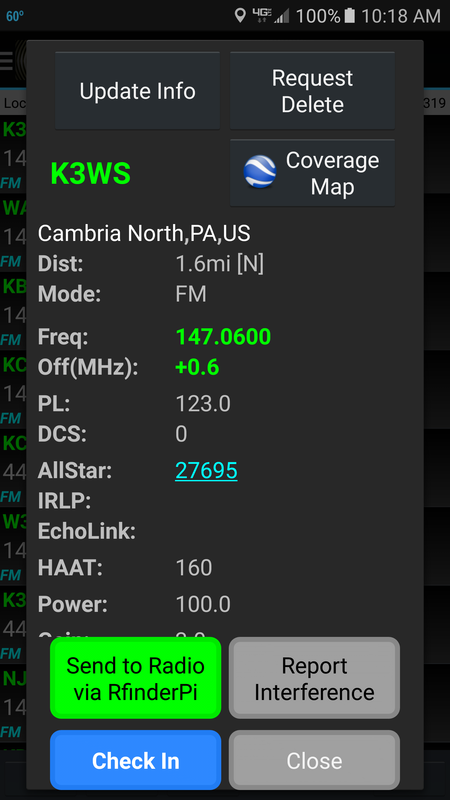 This means no repeaters in Pittsburgh have been submitted as covering I-76 which was incorrect seeing as I could hit a number of repeaters. The website can use some unification because different options are available on different screens. Mobile applications are available for iOS and Android and they support BlueCAT BlueTooth (http://www.zbm2.com/BlueCAT/) available for a limited number of radios. 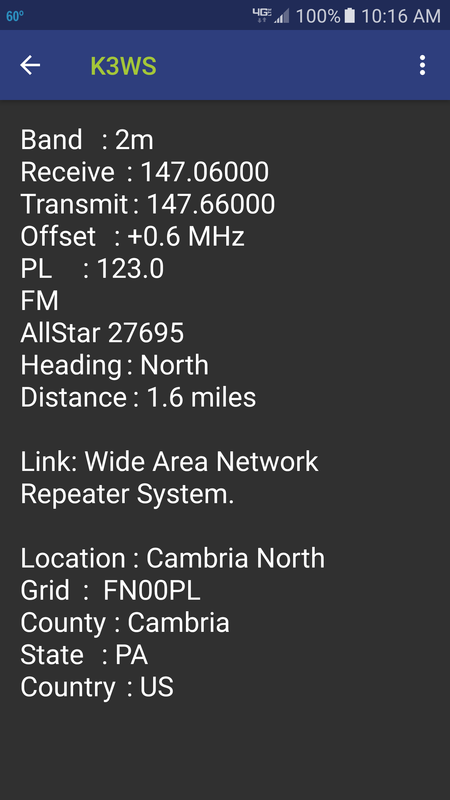 Clicking a repeater listing in the mobile app will tune the radio to that frequency and set correct offsets and PL tones. This service is free. Radio Reference (http://www.radioreference.com/): Radio Reference is geared toward the scanner listener and contains mostly crowd sourced data for public service frequencies. Scanner listeners who are travelers have definitely used this site. 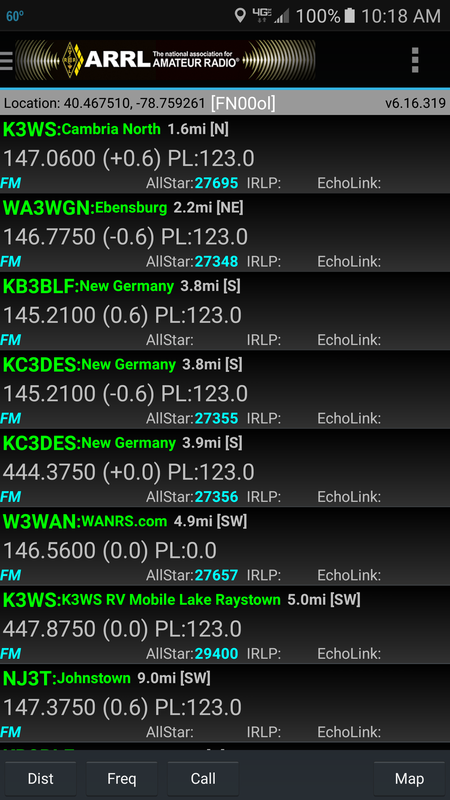 Once you locate an area in the Frequency Database, often there will be a list of repeaters in the “Amateur Radio” tab. This list is minimal and not comprehensive but includes mostly popular, emcomm, and Skywarn repeaters. These will likely be ones of interest and will actually be on the air when you key up. Results can be copied and pasted from the webpage for importing. Downloading a CSV file requires a premium subscription of $15 for 180 days, $30 for 360, or by providing an audio scanner feed. ArtSciPub (http://www.artscipub.com/repeaters/): ArtSciPub stands for Arts & Sciences Publications. They started as a software company and now do science related publications. One of their projects is a repeater database. Start a search by selecting a state, entering a zip code, or frequency. The resulting list can be resorted by clicking any of the column headers. Repeaters can be added or modified without an account. This database is very old as changes that happened 15 years ago are still not listed. Results can be copied and pasted from the webpage for importing. A Repeater MapBook is available for purchase. A membership of $20/year will allow access to larger maps, customized content, removal of advertisements, and high-quality PDF maps. In this realm, there are currently no great solutions with perfectly accurate data. Some repeaters never change, others are changing all the time – which is a reason why it’s hard to keep accurate records of such as large population of repeaters. I think my best option is using RepeaterBook in conjunction with the ARRL Repeater Directory or K1IW to get a good representation of the repeater landscape while traveling. I got the chance to finish up the project of getting LEARA’s Fusion repeater on the air New Year’s Eve. I mentioned the first in a series of tips back in November. With the help of Bill – K8SGX (Technical Specialist), we punched some holes, ran some jumper cables, and finally, the machine was on the air! Other DR-1X owners who are using the repeater in Automatic Mode Select were reporting the repeater locking in transmit when a digital and analog signal were simultaneously received by the repeater. Cycling the power would be required each time the repeater locked up. Our club decided to configure the Fusion repeater in digital only mode as a result. Today, it is a stand-alone repeater but things are looking promising for an Internet link. If you’re in the Cleveland area, try out the 444.700 YSF repeater on the west side. No tone, digital squelch, or digital code options are required. Thanks again to K8SGX and my dad Tom – N8ETP for their help with this project.